On August 21, 2017, people across North America will be able to view either a total or partial solar eclipse. The last time most people in the U.S. were able to observe a total solar eclipse was 1991 and the next time won’t be until 2024! Here’s a guide to get you ready for the big event. Psst! With your new eclipse glasses, you can look at the sun on any clear day. So go out and give it a try! Safe eclipse viewing glasses or handheld solar viewers have certification (ISO 12312-2 international standard) and manufacturer information printed on them. Do not use filters that are scratched, punctured, or wrinkled. Do not use sunglasses because they are not safe for looking directly at the sun! If you don’t have access to eclipse glasses or handheld solar viewers, use a pinhole viewer or solar viewing projector. Still need eclipse glasses? Try your local public radio station, public library, or science center. You can also purchase eclipse glasses here or here. Check out this list of reputable providers compiled by the American Astronomical Society for more recommendations of where to purchase glasses online. If you are in the path of totality the sun will be completely hidden from view and the sky will appear dark. 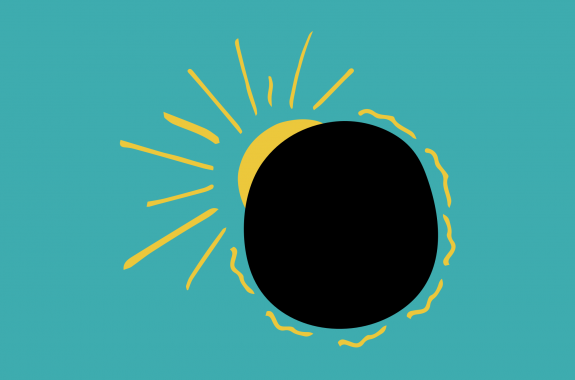 In the path of totality, you can remove your eclipse glasses during the brief period of time when the moon is completely blocking the sun. The path of totality passes through several major cities: Salem, OR; Idaho Falls, ID; Lincoln, NE; Kansas City, MO; St. Louis, MO; Nashville, TN; Columbia, SC; and Charleston, SC. Click here for a map of the August 2017 total solar eclipse. The eclipse on August 21, 2017 will travel from west to east, first “coming ashore” in Oregon at around 9:05 am Pacific Time (12:05 pm Eastern). It will leave South Carolina at around 4:09 pm ET (1:09 pm PT). The eclipse completes its path across the United States in just over 94 minutes. If you want to find out exactly what the solar eclipse will look like for you visit eclipsemega.movie/simulator. The moon is in the path of the sun’s light, so it casts a shadow on the earth. During the day, the moon will seem to move over the sun, blocking sun’s light. These three bodies have to be lined up exactly for this to occur. If you are in the “path of totality,” you will see the sun’s corona. Eclipses occur when either the earth or the moon blocks light from the sun. Solar and lunar eclipses occur during periodic alignments of the Sun, Earth, and the Moon. The moon’s orbit is tilted 5 degrees from the earth’s orbit (around the sun), so the moon is usually too high or too low to cause a solar eclipse. 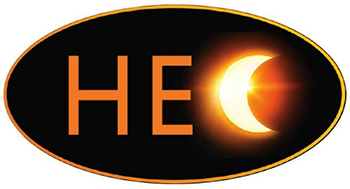 This resource was developed in collaboration with the NASA Heliophysics Education Consortium.